« Percentage of young Iraqis without a job: 57% of all unemployed!! This entry was posted on February 20, 2009 at 12:33 pm and is filed under Uncategorized. You can follow any responses to this entry through the RSS 2.0 feed. You can leave a response, or trackback from your own site. 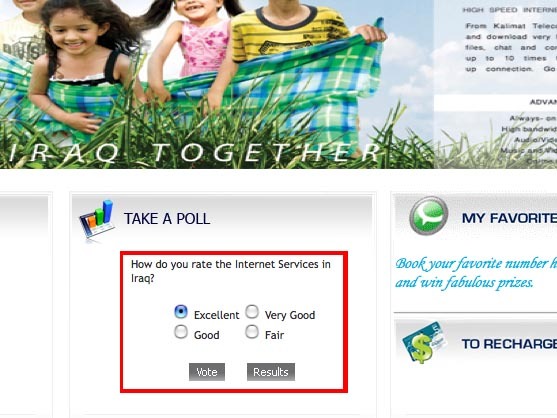 the only options I can chose from are Excellent, Very Good, Good and Fair… ! Here you are, friend. I caught first URL hop but not this one.